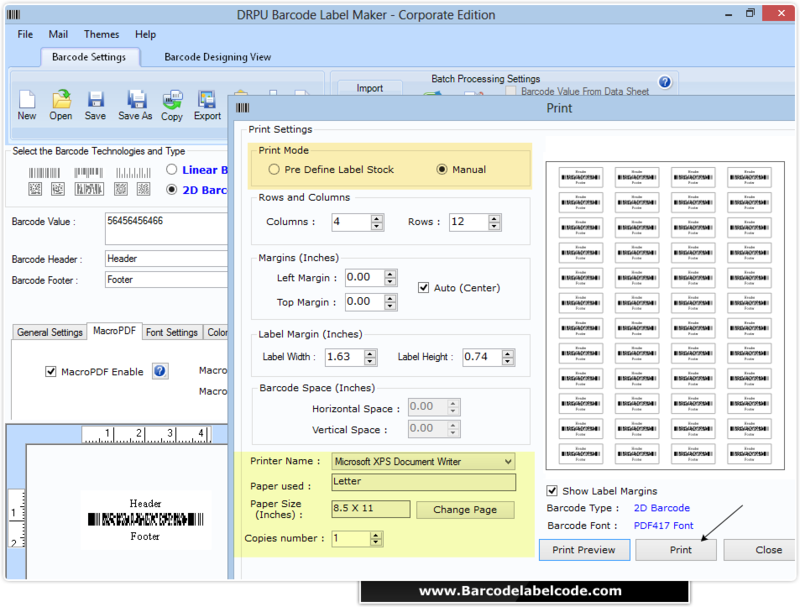 Select barcode type and font. You can change different setting from different tabs including general, font image and color settings as per choice. 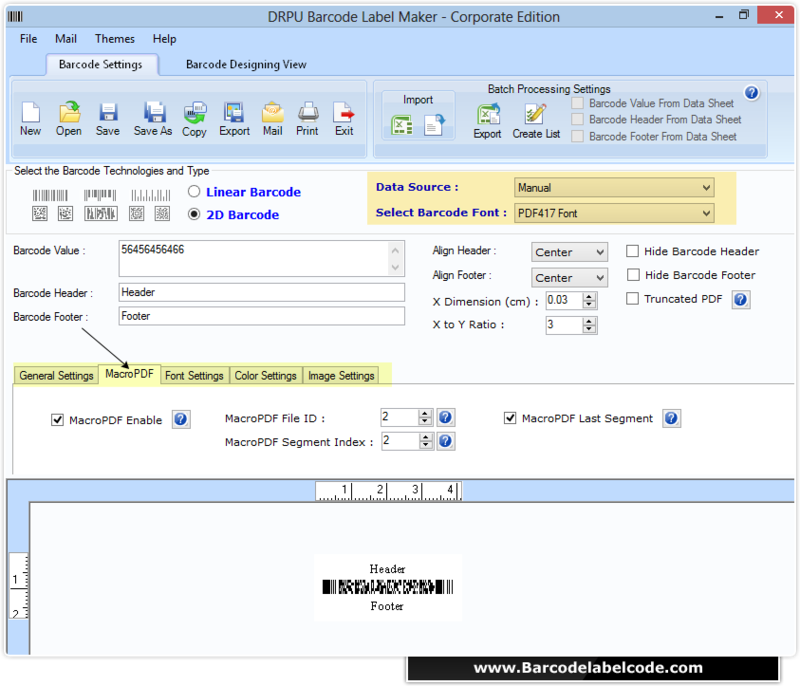 Choose printing option to print designed barcode stickers. In case of “Manual” print mode you can set attributes manually. 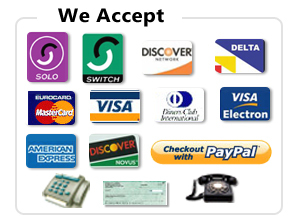 Click on print button to start printing process.